Product Consists: Chandu Halwai Soan Papdi Butter Scotch Flavor Pack (Weight: 200 Gms) and Masala Cashew Nut (Weight: 100 Gms) with Rakhi. Raksha Bandhan is a wonderful festival to strengthen the bond between a brother and a sister. And this festive season we have come up with this dry fruit and sweet delightful hamper that will blend more crunchy sweetness in the relationship and this cannot be complete without this sweet treat. 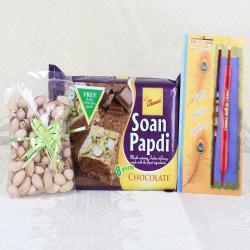 To praise this moment sends Rakhi sweets hamper online to your near and dear ones. 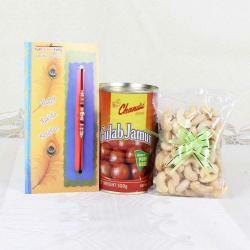 Giftacrossindia.com spreading the love among your loved ones with these gift pack. 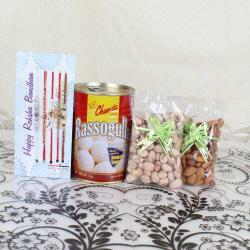 As we are having a huge collection of variety sweets nuts combo, so hurry up Shop Rakhi Sweets Online. 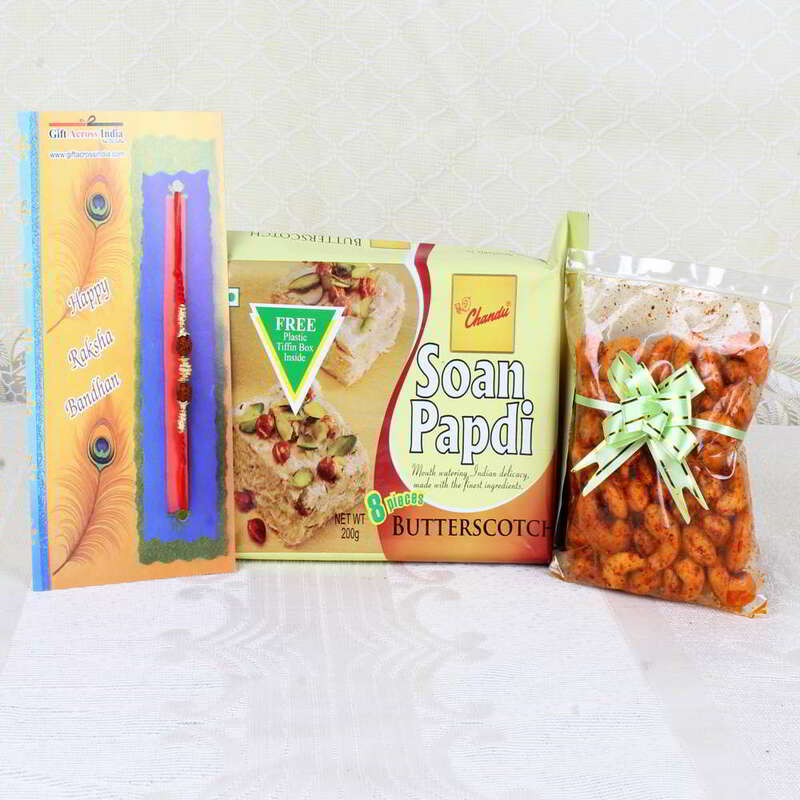 Product Includes: Chandu Halwai Soan Papdi Butter Scotch Flavor Pack (Weight: 200 Gms) and Masala Cashew Nut (Weight: 100 Gms) with Rakhi.